There is no gainsaying that accounting is crucial to the financial health of your business. Good accounting practices help you to know how well your business is doing at any given time. However, many new business owners choose to do their accounting because of the cost of hiring an accounting firm Adelaide. As the business grows they seek out a more experienced partner to manage and oversee their financial activities. 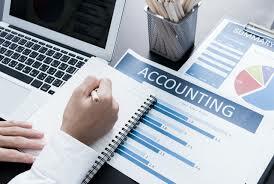 Accounting firms Adelaide offer various services that can help your business such as bookkeeping, accounting and consulting. However, the decision to hire an accountant should not be rushed as certain factors need to be carefully evaluated. Here are some of the mistakes people make when hiring accounting firms Adelaide. 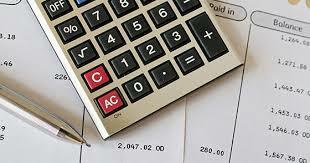 Most times, Accounting Firms Adelaide charge a reasonable fee for their services. Before choosing an accounting firm, it is important to consider the value and savings they offer in comparison with the price they charge. While it may help to compare the charges of multiple firms, do not hire an accountant based on price alone. Choosing the cheapest accounting firm is almost always a mistake. Opt for an accounting firm that gives you value for your money. Technology can increase efficiency and boost productivity. But the use of outdated technology can result in major setbacks. It is, therefore, necessary to choose an accounting firm that utilizes the latest accounting software. For any business relationship to succeed, there must be trust between the parties involved. Hence you should be comfortable with the practices and procedures of the accounting firm you choose to work with. Business owners are often required to hand over a certain amount of financial control to the accounting firm. If you disagree with the firm’s policy, then they are not the right partners for you. Make sure you choose an accounting firm that allows you to maintain a considerable amount of financial control. You need to look for an accounting firm Adelaide that understands your kind of business. For example, an independent contractor should look for an accountant that has experience in dealing with contractor needs. It is easier to build a long term relationship with an accounting firm that understands your business needs.